In a very real sense, the presidential election of 1968 was a battle for America’s soul. Taking place against the backdrop of a protracted and unpopular war overseas and assassinations, student protests, race riots, and cities in flames at home, this election—one of the closest, most bitterly contested in US history—would decide whether the country would respond by leaning in the direction of social justice and Franklin D. Roosevelt’s New Deal policies or by imposing a regime of law and order. 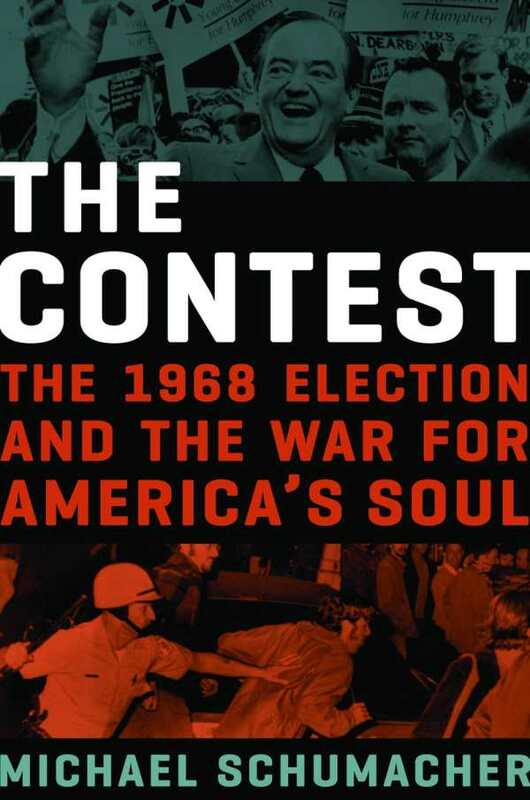 In The Contest, Michael Schumacher not only covers the events that made headlines in 1968 but takes an intimate, moving, and often surprising behind-the-scenes look at the major players who made it a pivotal year in American history. We learn that Lyndon Johnson, suffering from nightmares and insomnia, would shuffle down the White House hallways with a small flashlight to calm himself by touching the portrait of Woodrow Wilson; how Robert Kennedy, though haunted by the fear of assassination, loved physical contact with his supporters and would not give it up despite the danger; of Richard Nixon listing the pros and cons of running for president on a yellow legal pad with entries that included “Personally, I have had it” and “I don’t give a damn”; and of quiet family conversations that decided a candidate’s direction. Schumacher follows each candidate from preprimary events and the chaos surrounding the conventions to the general election that proved to be a turning point in America’s history. The end result is a rigorously researched and detailed book that not only conveys all the volatility, rage, intrigue, and belief in the possibility of change that characterized the election of 1968 but provides a deeply human record of the lives of the powerful figures whose decisions would chart the course of history.